Earlier this month, the Sports Turf Managers Association held their annual awards presentation in Fort Worth, Texas. Among the winners of this prestigious award was former Top Coach guest — and our go-to dirt and grass guy — Andy Ommen. Andy is the complex field maintenance manager at the McLean County PONY complex in Bloomington, Illinois. They have five fields of all sizes that they maintain, but Andy’s “baby” is the Pony Division (13-14 year old) field. I can tell you from personal experience — it plays like a billiard table. If there’s a bad hop on the field, Andy takes it personally. Congratulations to Andy and his crew on this great honor! You can follow Andy’s field maintenance tips on Twitter at @AndyOmmen1. Here is the press release from the STMA. 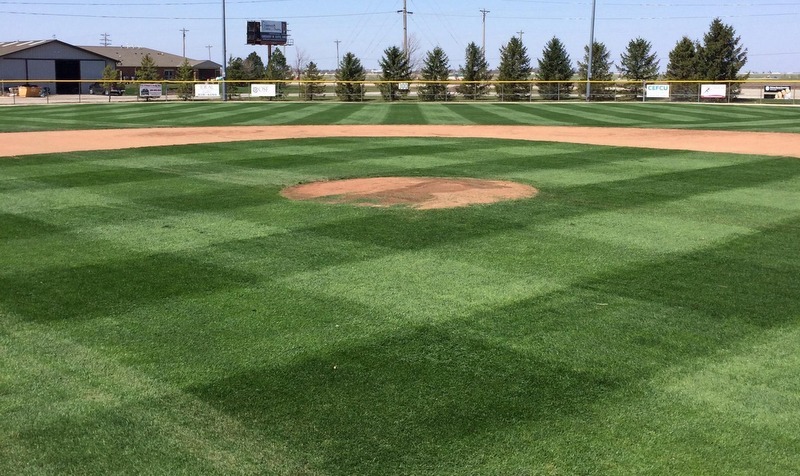 (LAWRENCE, Kan.) – Sports Turf Managers Association (STMA) – the professional association for 2,700 men and women who manage sports fields worldwide who are critical to the safety of athletes and coaches – awards its 2017 “Field of the Year” winners. Rogers has now received this prestigious honor four times (2014, 2015, 2016), each in a different sporting category. Three-time winners include Hohlbein (2015, 2016) and Cogdill (2014, 2015). “Field of the Year” award winners for the second time include Barnard (2011) and May (2014).